Pest description and damage The adult insect is a golden yellow moth about 0.5 inch long. The larvae are small, white to pale yellow or greenish caterpillars, 0.125 to 0.25 inch long. The larvae mine leaves during the early part of their development. During later stages of their development, they are also responsible for rolling leaves and skeletonizing them. Privet (Ligustrum), deutzia, euonymus, mountain ash (Sorbus), and ash (Fraxinus) also may be attacked. Occasionally lilac leafminer builds to damaging populations, but typically only a few scattered leaves are infested. Biology and life history Lilac leafminer overwinter as pupae in rolled leaves, or possibly as a larvae in a dropped leaves. 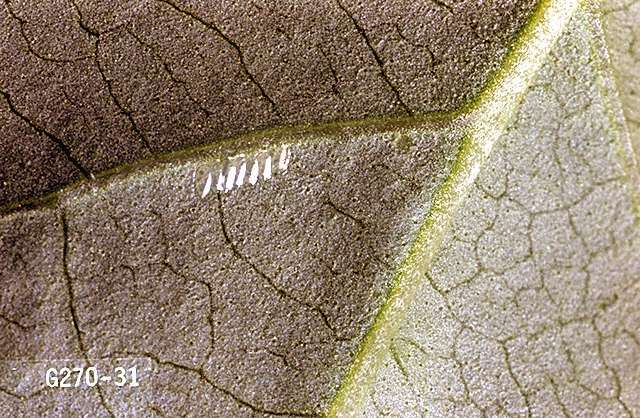 Adult moths emerge with new growth and lay eggs along the veins on the underside of leaves. 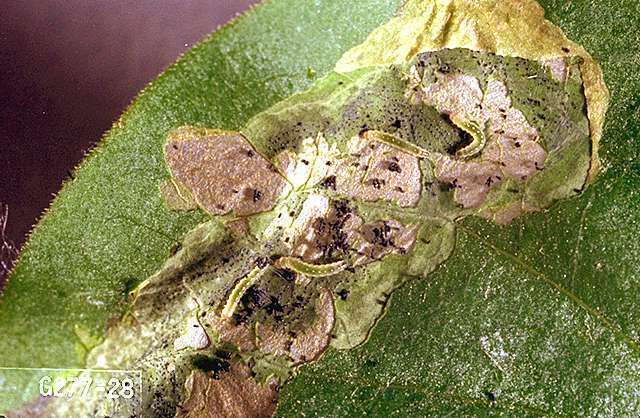 The larvae hatch and commence mining the leaves forming blotches on the leaf surface. Then, the lavae emerge from inside the leaf and roll the leaf over their bodies with silk and continue feeding. Later, they select an undamaged leaf, roll it up, and pupate in it. The adult moth emerges about a week later. There may be several generations per year. (In the Seattle area, three generations were noted in March/April, July and September). Pest monitoring As new growth comes out in spring, watch for the first small brown mines. The larvae in the mines can be squished. Note that the presence of multiple mines in spring could be the harbinger of a heavier leafminer infestation in midsummer and worse in fall. Often the mined leaf harbors a parasitoid feeding on the lilac leafminer larva and no moths will emerge. There is conflicting information on the wisdom of raking up leaves in fall. 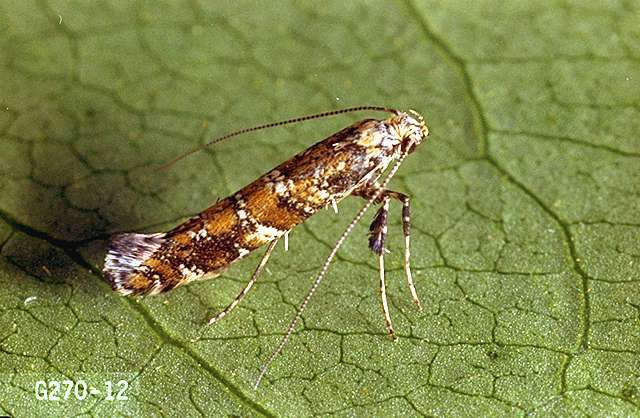 While it may remove pupating lilac leafminers, it may also remove the parasitoids.